The incorporated village of Garden City (in the town of Hempstead) has a population of about 22,371. It's located on Long Island in Nassau County, NY. The name Garden City also encompasses several unincorporated areas that aren't actually part of Garden City. These include Garden City South, Garden City Park and East Garden City. Garden City is served by its own school district, and has a top rating of 10 out of 10 from www.greatschools.org. There are a number of Garden City, NY homes on the market, and instead of spending hours on your own, let ERA Caputo realtor Grace Desiderio, 516-662-5906, assist you in your search. 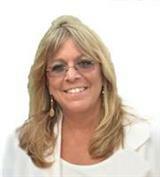 She is an expert on real estate in Nassau County and Long Island, and has an inside track on great deals. Grace can help you assess your options. The town was originally founded by Alexander Turney Stewart in 1869. He was a multi-millionaire who bought up property in Hempstead Plains and fashioned Garden City as an upscale community (and respite) for commuters to Manhattan. The book publishers Doubleday, Page and Co. also bought land here and moved their operations to Garden City in 1910. Fun fact: Many notable figures, particularly athletes, have resided in Garden City. The list includes NFL Hall of Famers Joe Namath and Curtis Martin, Dave Debusschere, Eddie Arcaro, Telly Savalas, and Bill Moyers. Historic footnote: In 1927, Charles Lindbergh departed on his famous transatlantic flight from Roosevelt Field in East Garden City. Alley Pond Park, Garden City Recreation Department and other parks and recreational facilities are available for you to come out and spend the day relaxing and enjoying being with the family. Take in the fresh air and beautiful scenery all around you as you enjoy one of these parks in Garden City. For those who love history, you will enjoy checking out Old Bethpage Village Restoration. You can take the kids and embark on an amazing learning adventure as you learn all about everything that the area has to offer you. Plan a relaxing day at the Old Westbury Gardens. Not only is the area well-kept, but it boasts a number of different trails for you to head out and explore. The children will love being able to make their way from one trail to the next and burn off some energy in the process. Roosevelt Field is one of the largest shopping malls in the U.S. The Village of Garden City has a unique character, and local events reflect a real close-knit community. One of these is the NYC Century Bike Tour, and you can choose a 15-mile tour or the full 100-mile route. Either way, you will have a great time. There are five Long Island Railroad Stations that can take you into New York in less than an hour. Since there is an abundance of real estate in Garden City, you are sure to find a number of homes that may suit your needs. To get a grasp of the market and your options, call ERA Caputo realtor Grace Desiderio, 516-662-5906. Grace is an experienced pro in the Long Island area, and has a line on the best on the market. She can help you find the best match in garden City for your lifestyle and budget.